The Taylormade SLDR S Fairway wood features a stainless steel head with new cut-through Speed Pocket design that flexes with more efficiency and allows for a forward, low center of gravity, resulting in lower spin and increased ball speeds across the entire face. The SLDR S Fairway wood also features the new open channel speed pocket technology which improves speed with reduced turf resistance. The Satin silver crown with black button-back promotes easy alignment as well. 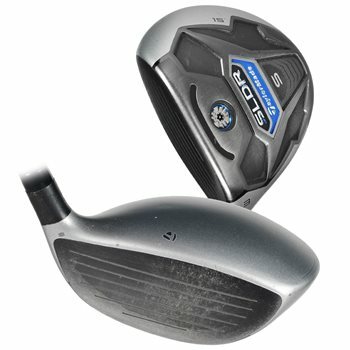 Low profile head design with shallow face promotes easy launch for outstanding playability. Review by pisit.t, 3 years ago.